Roses are red, violets are blue…we don’t care about the rest of the poem, because we have clothes to show you!! Our boutiques are gearing up for the season of love, with some of the loveliest little outfits you’ve ever laid heart eyes on! 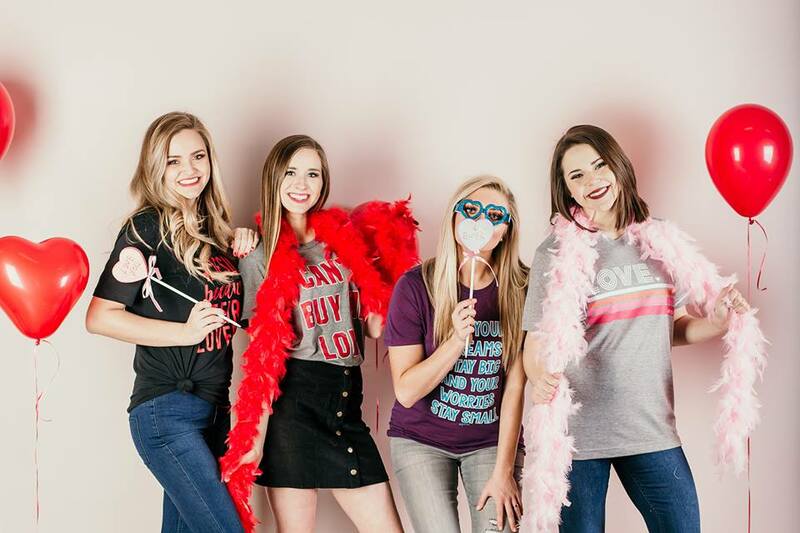 From hot pink dresses for a night out on the town, to heart-embellished tees fit for more of a casual look, we’ve got a little bit of everything, perfect for your Valentine’s Day festivities! Essentially this post is the fashion-version of that box of variety chocolates someone gives you, minus that really bad cherry-filled thing nobody ever eats. Enough small talk, let’s get to the good stuff—we can’t wait to show you what we’ve found! Picking a favorite is extra difficult this time around. Can we just have one of each, instead? Be sure to tag us in your Valentine’s Day outfits! We’re going to have a special blog post dedicated to our favorite Valentine’s Day looks, and we want to make sure you’re included! Like what you see? Join our list of VIP insiders to see our blog posts on a regular basis!